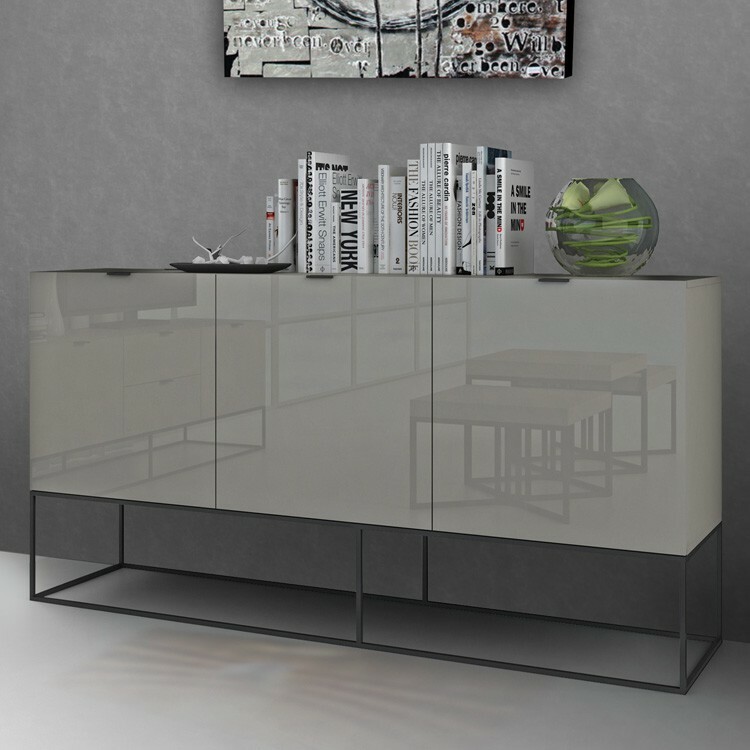 A glossy gray buffet/credenza with 3 compartments that adds a modern edge to your room. Perfect contemporary furniture for the modern home. Behind each door is a compartement with a wooden shelf in the center.